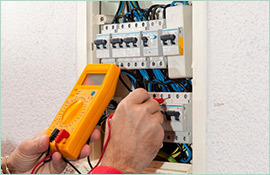 How to Find the Quickest Electrician Solutions in Surry Hills! Sometimes, electrical problems can’t wait. Perhaps something went wrong with the wiring at your home and your family has been plunged into a blackout. Or maybe the PowerPoint presentation you were going to give at a high-profile work meeting is a bust because the projector system is acting up. In both of these situations (and many others), you don’t have the luxury or time to wait a few hours for an electrician to come and diagnose the problem. On the contrary, you need the issue fixed right now, and at Paul’s Electrical Services, that’s precisely what we will do. 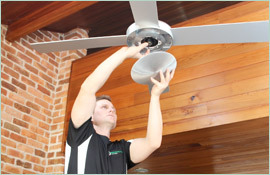 Indeed, if you are looking for the quickest and most reliable electrician in Surry Hills, look no further than Paul’s. 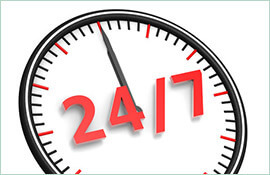 Our talented team of electrical experts not only has the tools and experience necessary to diagnose and fix your electrical problem quickly, but we also maintain a flexible schedule that means we can get to you more quickly than our competitors. Bottom line, too many electricians in Surry Hills (and everywhere else, for that matter) are not sympathetic to the time sensitive nature of their customers’ electrical problems. 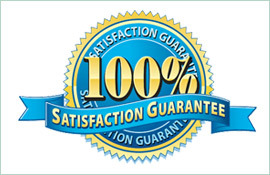 Since our inception 18 years ago, Paul’s Electrical Services has never been that kind of company, and we never will be. Our business is about helping people, and if helping you means jumping through hoops to get to your workplace in the next 15 minutes, we’ll do everything in our power to make it happen. Interested in learning more, or in hiring us as your Surry Hills electrician? Give us a call now, at 0409 337 439.